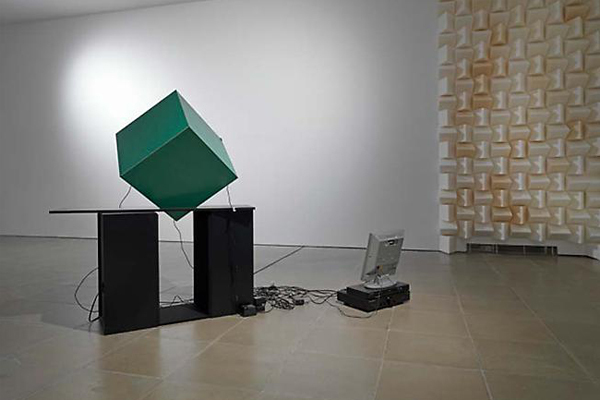 The press release for Haroon Mirza’s show at Lisson Gallery leaves a lot to the imagination. Six simple bullet points give a very basic description of the works he has installed in the space. Point one: ‘a turntable piece’. Further down: ‘some light works’. Although Mirza’s installations’ have an unembellished, techno-functional aesthetic which matches these spare descriptions, conceptually they are rich and expansive far beyond physical form. Mirza, winner of the Silver Lion Award for a promising young artist two years ago at the Venice Biennale, is known for his ambitious and ground-breaking work with sound, sculpture, space and light. His sensory immersive sonic environments reverberate through the rooms at Lisson Gallery: ‘it’s weird – you can feel it right through your body’ one visitor commented whilst standing in the ‘LED surround sound sequencer’ upstairs at the gallery. 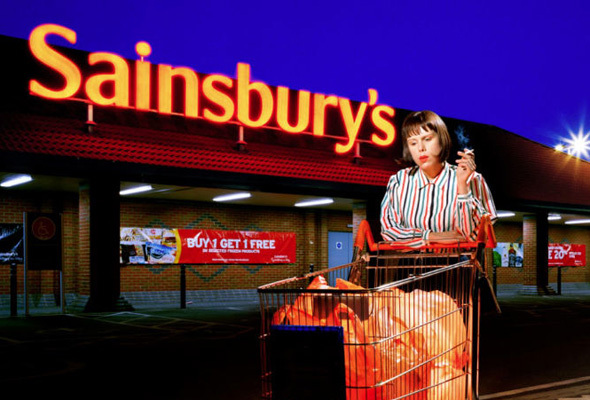 Another: ‘this is how my brain works’. The ‘LED surround sound sequencer’ (another of the bullet points) can be found in an airless and grey soundproofed room, where a ring of speakers are linked up to a small ring of LEDs. The interlinking wires are pulled taut and precisely arranged in a kind of elegant 3-D line drawing, and the lights flash on and off in an unknown automated sequence, communicating with their opposite speakers which pulsate in tandem. 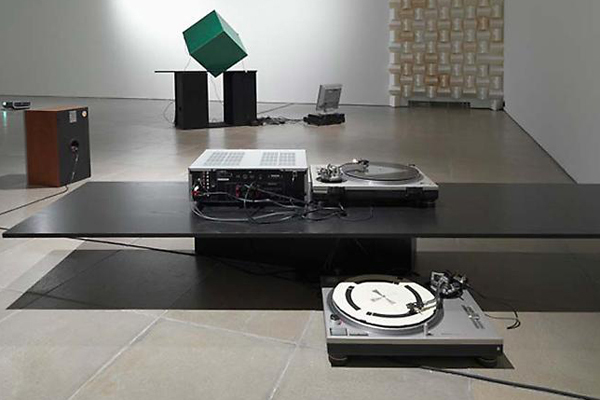 Downstairs, the spotless floor of the gallery is dotted with turntables, wires, pieces of vinyl and great wads of violently angular soundproofing foam mounted at different points on the walls. Crackling, scratching, whomp-whomping sounds pick their way across the room.